DiGiCo has long been committed to providing comprehensive educational resources and support to the professional audio community. 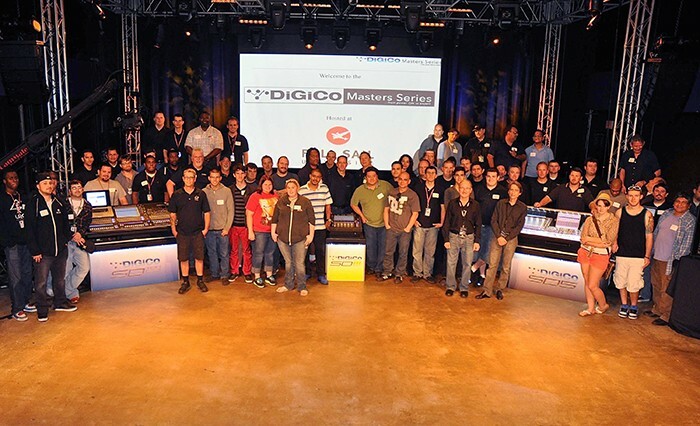 Working in conjunction with its US distributor Group One Limited, it recently launched a series of educational training seminars - DiGiCo's Master Series: From Power On to Expert - focused on showcasing DiGiCo's current line of SD Series systems. Over 90+ people were in attendance - comprising a diverse group of systems integrators, audio consultants, production companies, houses of worship and performing arts center operators, as well as Full Sail students and faculty. 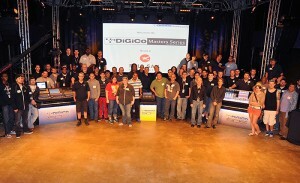 Over the course of two days, they were given in-depth tutorials with the opportunity to get hands-on with virtually all of DiGiCo's SD Series consoles (SD5, SD Ten, SD11, 3xSD9s, and an SD8). The training covered the gamut from basic system setup and cabling to features and operation, as well as a hardware and software review. DiGiCo's, new to be launched at Infocomm13, SD software (V621) was showcased on several of the consoles (adding 96KHz capacity for the SD9 and SD11 on Cat5E as well as a offering a new MADI Router for all SD consoles). Industry veterans Howie Lindeman and Mark Frink were also in attendance to answer questions and to share their real-world, hands-on experience and road stories. Lindeman, who is currently on tour with The Elvis Presley Concert Tour, has mixed in many iconic studios from the Record Plant to the Hit Factory and on tour with Roberta Flack, Natalie Cole and many others. Frink is the former Technical Editor of MIX Magazine and is currently mixing monitors on a DiGiCo SD10 for Grammy awarded artists, the Zac Brown Band.